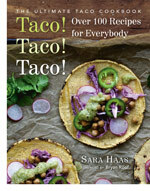 Sara Haas’s latest book Taco! Taco! Taco! features 100 savory and sweet taco recipes that are as easy to prepare as they are to love. You’ll find plenty of delicious options not only for omnivores, but for vegetarians and vegans alike. This is one of 5 recipes included in our It’s Time For Tacos! photo contest. To cook the beans: Preheat the oven to 400°F and line a medium baking sheet with foil. Toss the garbanzo beans with the olive oil, salt, and black pepper then spread out onto the baking sheet. Roast for 20 minutes, stirring halfway through cooking time. While the beans are roasting, make the dressing: To a small bowl add the tahini and lemon zest and juice. Whisk until combined, then whisk in the olive oil, salt, and pepper. Reserve. To make the tabbouleh: Remove beans from the oven and allow them to cool slightly. Add cooled beans to a large bowl along with the onion, pepper, cucumber, mint, and parsley. Add the dressing and toss to combine. 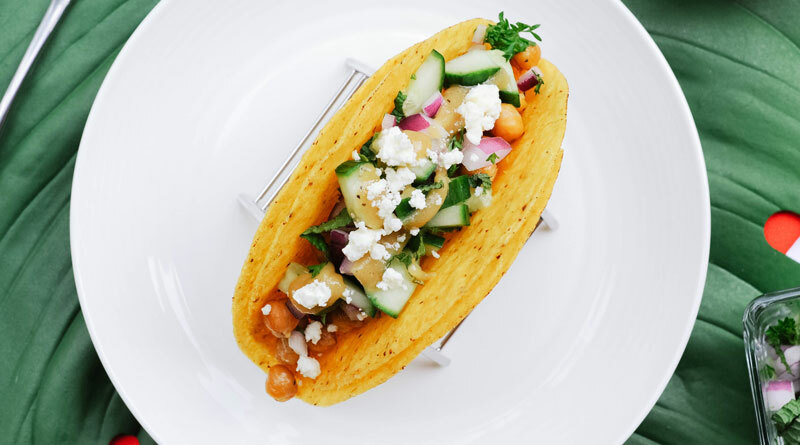 To make the tacos: Portion tabbouleh among warmed taco shells and garnish with feta cheese. GROCERY TIP: Looking for tahini at your grocery store? It can sometimes be found in the section with nut butters, but if it’s not there, look for it in the ethnic aisle. PREP TIP: Save time by cutting veggies just after you make the dressing and while those beans are still cooking! RECIPE NOTE: Too much herb for you? That’s okay! Feel free to adjust the parsley and mint to reflect your preferences. COOKING TIP: If you like things spicy, don’t remove the membranes or seeds before chopping the jalapeño! SERVING TIP: I love this guacamole served with tortilla chips, but it’s also a fabulous dip for veggies! 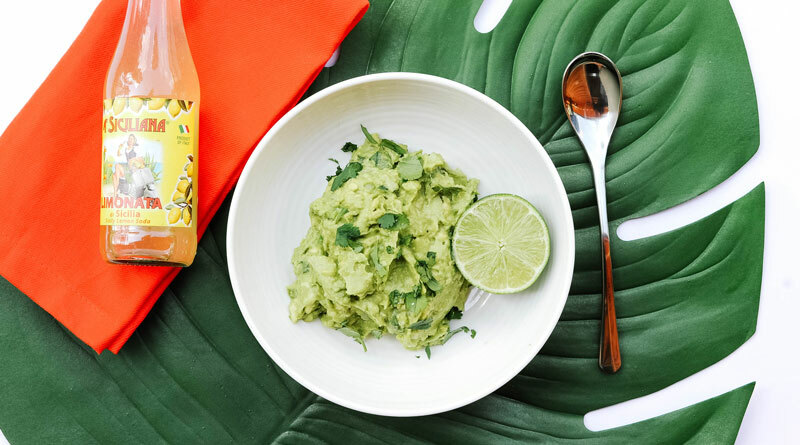 Scoop out the avocado and place in a medium bowl. Mash with the back of a fork, then add the onion, jalapeño, lime juice, salt, and cilantro. Stir to combine. Enjoy immediately.